DWC is the Sponsor of the Love Your Commute Party! Thursday 5-7 pm at Ska! 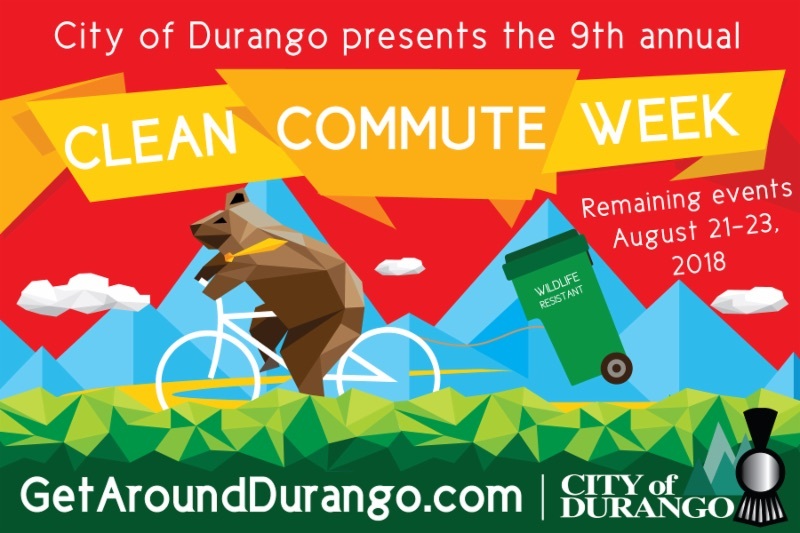 The Durango Wheel Club is the sponsor of this year’s Love Your Commute Party on Thursday 5-7 at Ska Brewing! Join us for the remaining Clean Commute Week events! As a reminder, Float to Work Day is cancelled. The City of Durango’s Float to Work Day, originally scheduled for August 24, has been cancelled this year. As part of the response to the 416 fire in June, the City of Durango rescheduled a number of Clean Commute Week events for later in the summer when air quality conditions would be more favorable. During that process, future impacts to the river were unknown, and priority was given to rescheduling the other Clean Commute Week events. For more information, please visit GetAroundDurango.com or call (970) 375-4955.